The bustle of the local elections simultaneously began to be felt in many areas. Stages of registration of the participants began to prospective head region held since July 26, 2015. Almost nearby dated December 9, 2015 as the culmination of the implementation of the Regional Head Election (Election) simultaneously, then push the contestants prospective head region newcomers and incumbent think hard concocting various scenarios deemed able to achieve the support of the people's voice to the fullest. Despite the problems single candidate, no doubt everyone knows and certainly, the political scenario of money (money politics) has always been a main ingredient in every event party democracy in Indonesia. The practice of money politics do not mean to use private money in political battles. Even if the money used was from the government, but the authorities have capital so the money becomes a means of money politics. Village fund is one example of the government's money that could potentially be a means of political money. Along stages Election simultaneously held, a program Nawa Cita President Jokowi-JK "build Indonesia from villages and lagging regions within the framework of NKRI," began to be implemented. As of April 20, 2015 by the Ministry of Finance has disbursed the village fund the first phase of 5 , 7 percent of the total funds 8.28 trillion to 434 districts / cities. Village funds regulated by Government Regulation No. 22 Year 2015 (PP No. 22/2015) on the Amendment of Government Regulation No. 60 Year 2014 on the Village Fund Sourced from the state budget. In Article 16 of Government Regulation No. 22/2015 declared the village fund distribution is done in stages, the first stage in April (40%), stage II in August (40%) and stage III in October (before November) 20%, "But still its field 14 the district has not received funding village until the beginning of August 2015 then likely to occur Time Over Use of Budget (SiLPA) village fund at the level of the ministry of Finance. Remaining Budget Calculations (SiLPA) is the rest of the budget that are not absorbed in the eye of the budget in a certain time period. Causality is not reached affected by many factors, one of which is due to the slowness of the budget release. Funds disbursed in late village serial method will result in delays in the shopping process on a number of activities and it meant. Village funds experienced SiLPA. In the case of funds that experienced SiLPA village, in article 27, paragraph 3 of Government Regulation No. 22/2015 mentioned regent / mayor gave administrative sanction to the village concerned. Sanctions on purpose, described in paragraph 4 in the form of cutting the Village Fund next financial year amounted SiLPA Village Fund for the year. Apart from cutting it, learn from the management of the Village Fund Allocation (ADD) has been such in Majalengka liquefaction ADD 2014 are not clear when thawed, so are melting ADD Kab. Kepahiang later in mid-December 2014, and many other districts, then certainly this village fund management would have fared the same. Delays in the disbursement process from the village treasury account general area would be culprit SiLPA the village fund. Had delays in the disbursement of the village because of unintentional then the public have always known. But others question if the delay was intentional with dozens of seemingly rational pretext that it is suspected there are goals to strive for. Although Article 16 paragraph 3 of Government Regulation No. 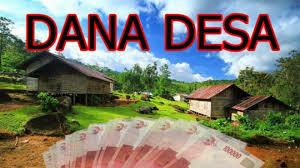 22/2015 ordered the "Disbursement Village each stage later than seven (7) working days of receipt in cash Regions", but delays in the disbursement of funds occurs village administration under the pretext of the disbursement of the village submitted is incomplete. In that area, the village heads who have SiLPA (by design), located at the point edit the main actors of the mission incumbent. Reject, means must be prepared to fund their village reduced and if opted a number of blessings waiting in front of the eye. Given the impact arising from article 27 paragraph 3 and 4 of Government Regulation No. 22/2015 then this article should be removed or revised, it is very critical and the right not enforced. The threat of budget cuts in article 27 is a variant of the new terrorists are often used as ritual in the preparation of financial products related laws. Could the rescue of the state money should be done in ways that are not beautiful, thick with the smell of discrimination and intimidation?. Any of a variety of Indonesian legal product literature often found the clause that puts the post of Regent / Mayor terrorist tub. Simple proportion, stamp terrorists are always addressed to people who have a habit of threatening although it was just a gab-gab. Political scenario incumbent diving drama amputate a rules-based village right in the seconds before the election simultaneously the uproar sparked rural communities. Although similar claw-scratches elementary school children fighting over a toy, smelling mass uproar of criticism and condemnation that grazed the article outrageously good name regent / mayor will certainly trickle. It is time for all items Indonesian legislation is present and packed in her humanist-based languages ​​persuasive approach. To the provisions of Article 27, paragraph 4 of Regulation No 22/2015 reads the correct language in case SiLPA village funds then the village head was obliged to deposit excess funds unused village in local government bank accounts. Thus, the behavior of the terrorists will be eliminated in the Indonesian government.